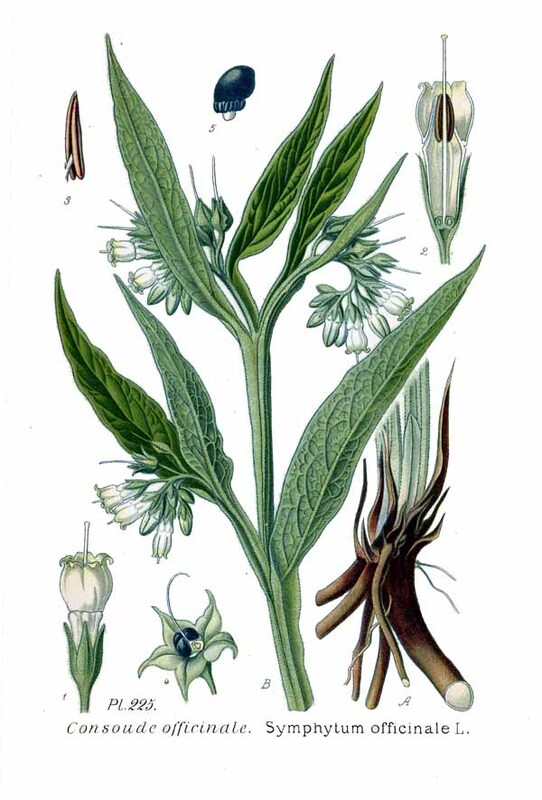 Symphytum officinale may be considered the orthopaedic specific of herbal medicine and it’s traditional name of ‘Bone-set’ gives its main use. It has been used in homeopathic medicine for over two hundred years. Facilitates union of fractured bones. Fractures (give after the bone has been set), injuries to eyes, swelling without bruising (with bruising is Arnica), ‘pricking’ pains. Of great use in wounds penetrating to perineum and bones, and in non-union fractures; irritable stump after amputation, irritable bone at point of fracture. 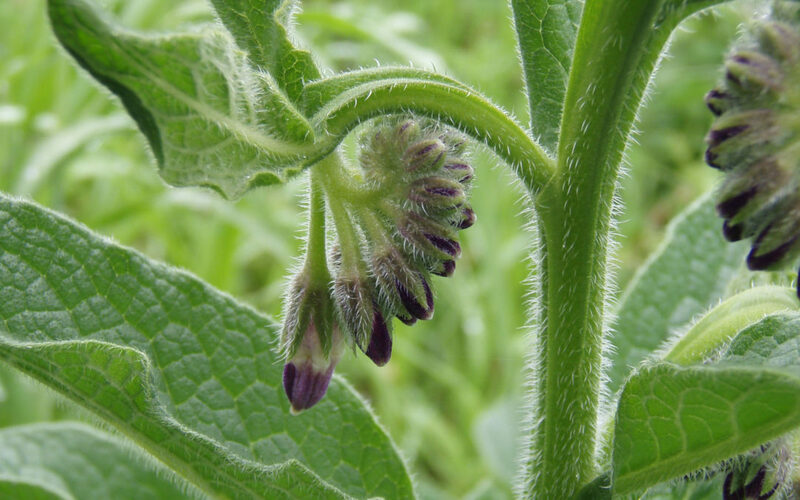 When the bone or periosteum and the soft have recovered from the bruised soreness under Arnica, the remaining pain and soreness of the periosteum may be promptly relieved by Symphytum officinale. Inflammation of bones; diseased spinous processes. Facilitates union of fractures bones and lessens peculair pricking pain; favors production of callous.